Our Streets MPLS in partnership with Grease Rag Ride and Wrench invites you to an informational Happy Hour on August 20th at 5:30pm. 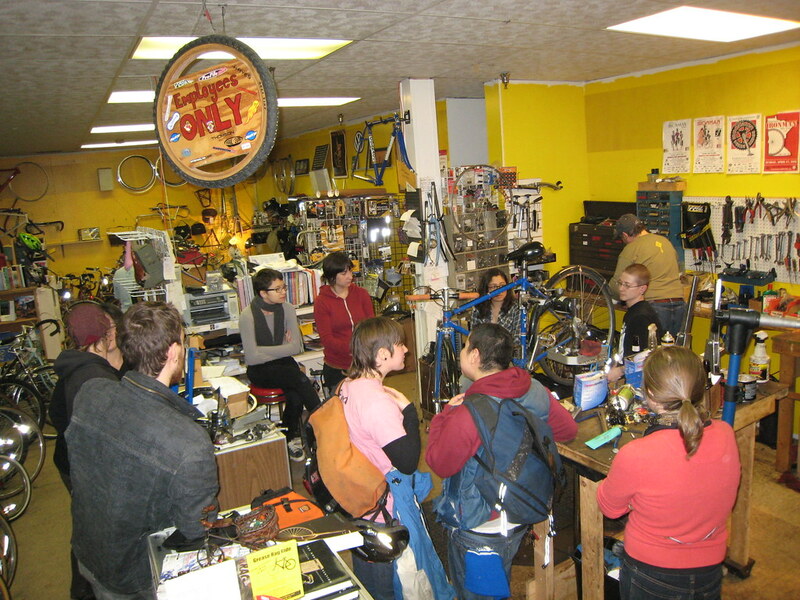 Join us as Grease Rag facilitators Laura Kling and Kat McCarthy discuss their organization, whose mission is "to encourage and empower women/ trans/ femme (WTF) cyclists in a collaborative and fun learning environment through rides, discussions, shop nights and educational seminars in a safer space." You will also learn about the 8th annual Babes in Bikeland, the largest all-WTF alley cat scavenger bike race/ride, coming up on Saturday, September 13th. Meet at Republic 7 Corners (221 Cedar Ave S, Minneapolis, MN 55454) at 5:30pm for socializing. The program will begin at 6pm with time for questions and more socializing afterward. We'll gather in the side room. When you come in the front door, walk to the end of the bar, turn right, go through the doorway and head toward the tables nearest the front window. There, you'll see friendly faces waiting to greet you!